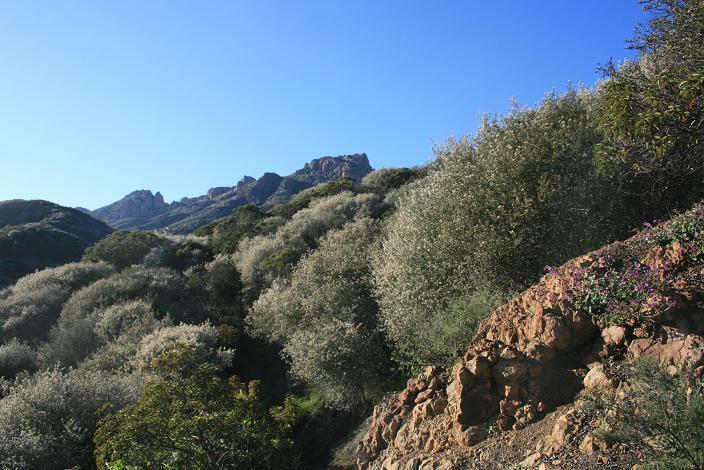 Location: Western Santa Monica Mountains northwest of Malibu. From Pacific Coast Highway just past the Ventura County line, head north on Yerba Buena Road for 5.4 miles. The Circle X parking lot will be on your right. From the Valley, take highway 101 to Kanan Road. 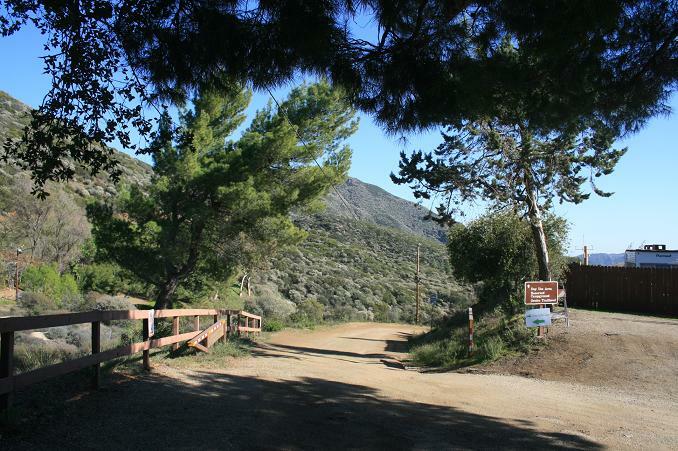 Head south on Kanan Road for 6.2 miles, turn right on Mulholland Highway and stay straight to connect with Encinal Canyon Road. 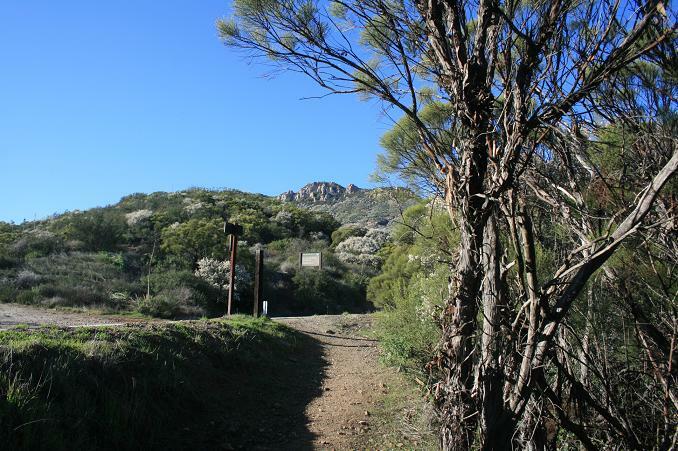 Follow Encinal Canyon for 3.4 miles, take a right on Lechuza and another quick right on Decker Canyon. After 0.8 miles, take a hard left on Mulholland, go 0.4 miles and take a right on Little Sycamore. 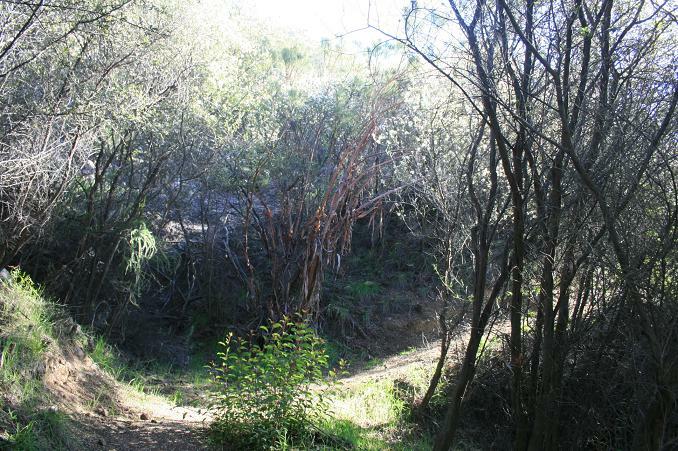 Little Sycamore becomes Yerba Buena, and after 4.6 total miles from Mulholland, the Circle X Ranch will be on your left. 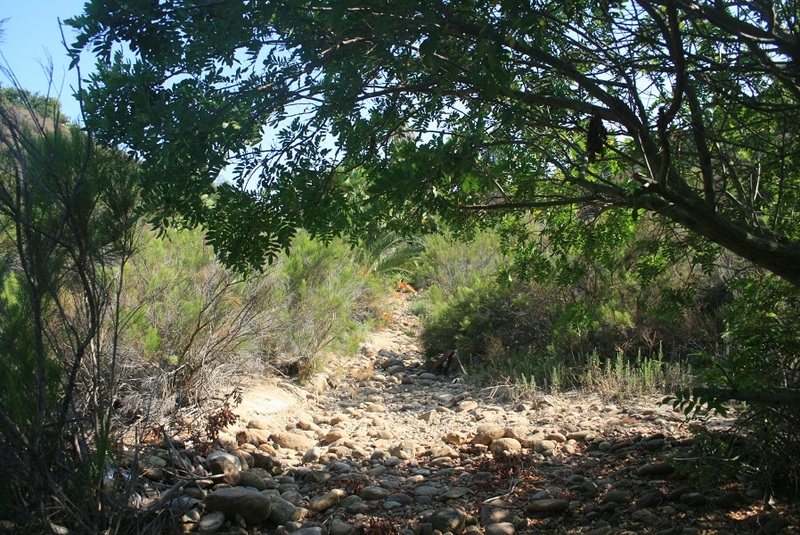 The Canyon View Trail is located in the Circle X Ranch area of the western Santa Monica Mountains. 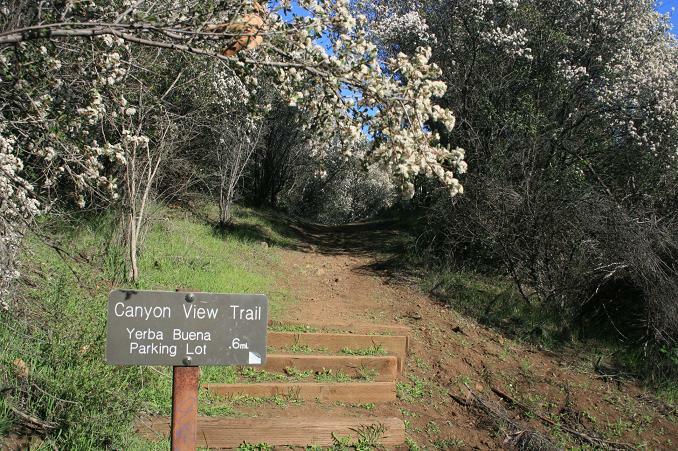 Starting at the same trail head as the Grotto and ending across Yerba Buena Road from the Sandstone Peak trailhead, the Canyon View Trail is a good workout with some nice scenery. 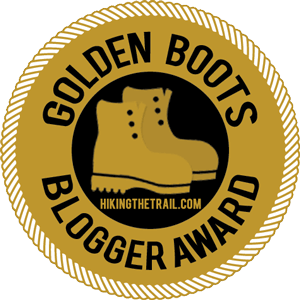 It may lack the panoramic vistas of Sandstone Peak and the absolute solitude of the Grotto, but it’s still an enjoyable stretch of trail, well worth visiting if you’re in the area, especially if you’re a fan of the Santa Monica Mountains. 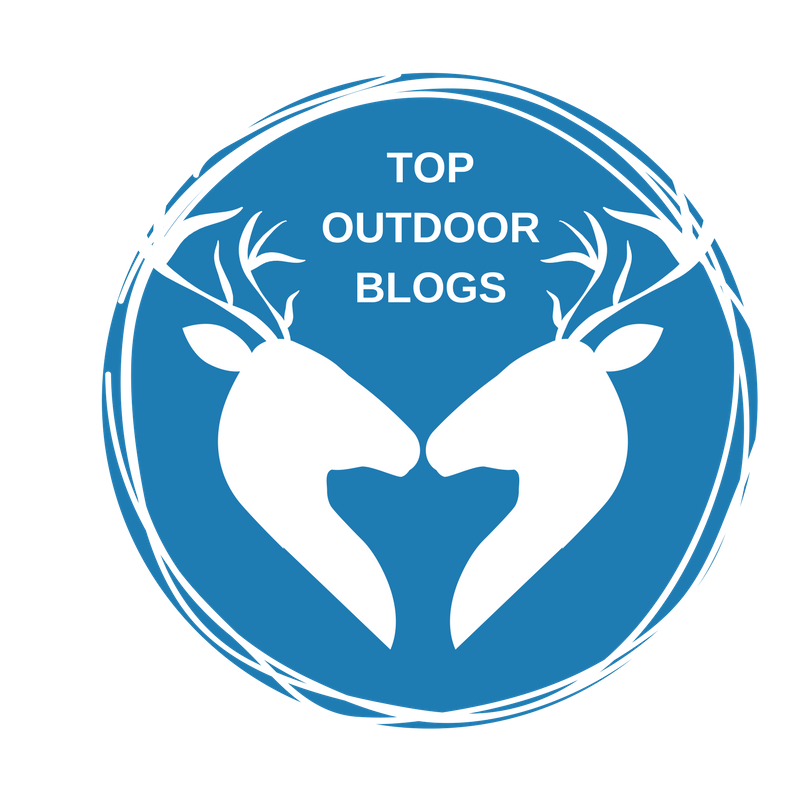 Scenic highlights include geology, good mountain views and, following heavy rain, some small seasonal waterfalls. From the parking area, head downhill on the dirt road, following the signs to the Grotto Trail. You pass by the Circle X Campground, reaching the beginning of the Grotto Trail at 0.2 miles. You enter a wooded area, reaching a junction at 0.4 miles from the start. Head left and uphill as the Grotto Trail descends to the right. You follow along the rim of the canyon, and the ocean becomes visible. After a few switchbacks, stay straight as a spur from Yerba Buena Road joins the trail (one mile from the start.) You cross a rocky stream bed and continue your ascent. The views get better as you climb higher, making your way around the southeast face of a ridge. 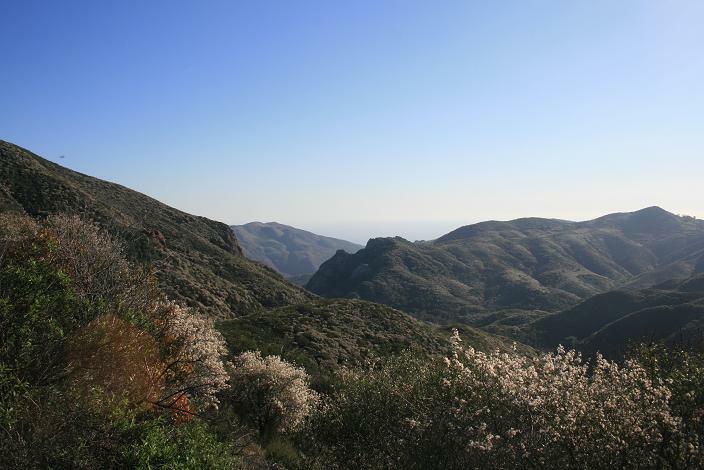 If visibility is good, you may catch a glimpse of Anacapa and Santa Cruz Islands. Finally, at 1.9 miles from the start, you reach Yerba Buena Road, opposite the Sandstone Peak trailhead, the turnaround point for this hike. 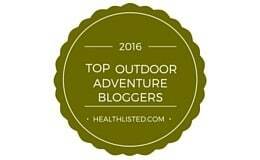 ← NHLA featured on Agoura Hills Mom!